Dr Yasmine El Masri facilitated a series of capacity building workshops for teachers on designing tasks and writing questions. 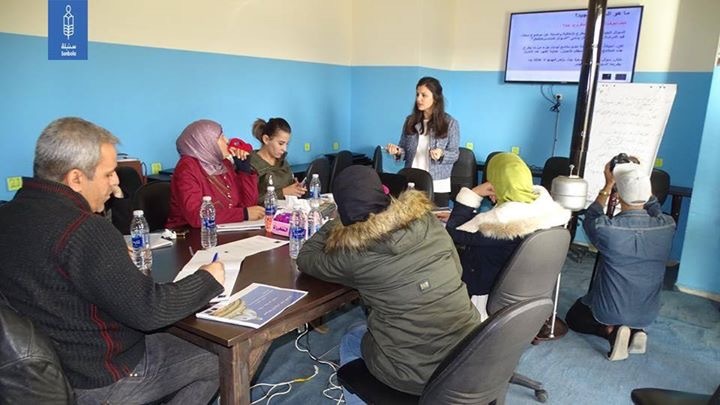 The first two workshops were organised in collaboration with LAL NGO on the 22nd and 29thApril at Edutek e-learning centre in the Bekaa Valley and targeted science teachers in schools hosting Syrian refugees (e.g. Don Bosco in Baalbek, Malala schools in Bekaa). The workshops aimed to raise teachers’ awareness of features that could increase cognitive and language demands of science tasks and develop teachers’ reflective practice and their ability to critique the quality of science tasks. After a first capacity building session in which science teachers were made aware of the various features that could increase cognitive and language demands of science tasks, teachers provided feedback on Tabshoura science tasks developed by the LAL NGO and suggested a list of guidelines for improving the tasks and developing new educational material. An additional workshop was hosted on 16th November 2017 at Sonbola NGO in Anjar. 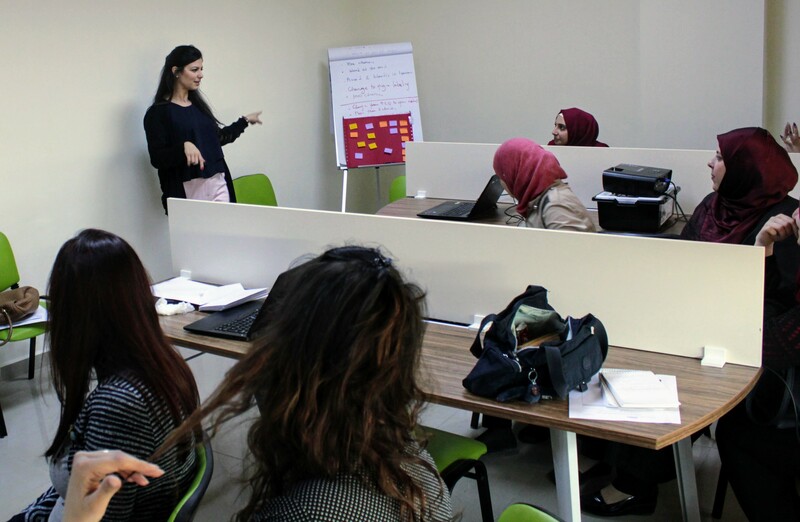 Sonbola’s Tamkeen project offers educational support to Syrian refugee youth, many of whom are facing significant challenges in coping with the language demands of the Lebanese curriculum. The aim of the workshop was to build upon the capacity of teachers and volunteers at Sonbola Learning Centre to critically evaluate the quality of questions, of various subjects, in relation to the cognitive demands those questions could place on their students. Such skills will enable them to better support their students. In addition to capacity building, the workshops provided excellent opportunities for knowledge exchange between teachers, the NGOs and the researcher. 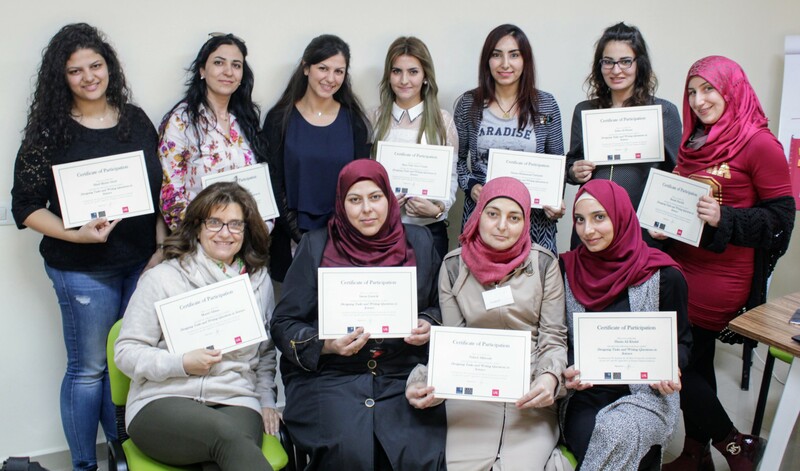 Workshops ended with participating teachers and volunteer educators receiving Participation Certificates in recognition for their invaluable contribution. 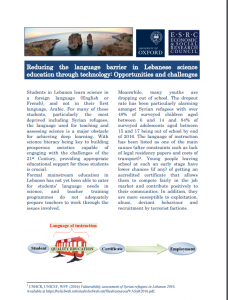 On Friday, 26th November 2017, Dr Yasmine El Masri hosted a Stakeholder Dialogue entitled “Reducing the language barrier in Lebanese science education through technology: Opportunities and challenges” in Beirut. 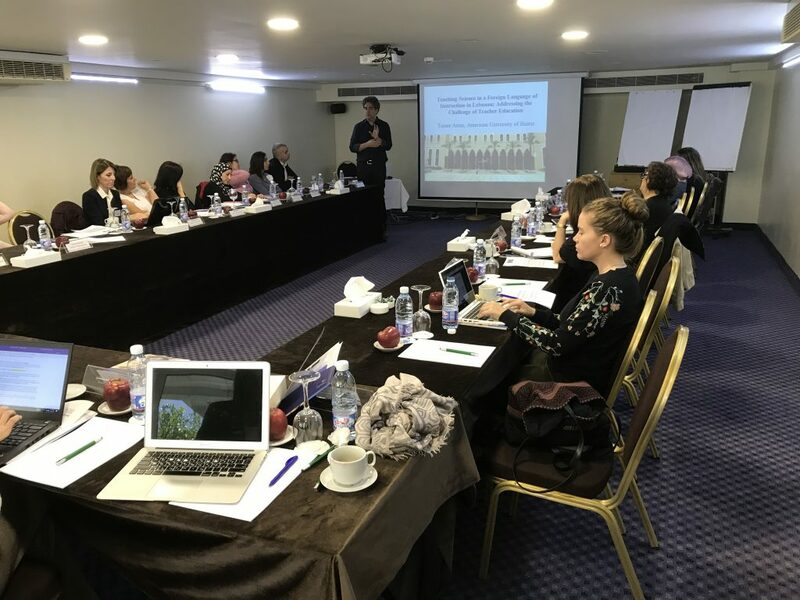 The daylong event gathered researchers from various Lebanese universities, NGOs, science teachers from public and private schools and representatives of the Centre for Educational Research and Development (CERD) in Lebanon. Dr Tamer Amin (American University of Beirut) gave a thought-provoking presentation at the beginning of the event that highlighted the importance of training teachers to cope with the challenges associated with the foreign language of science instruction in Lebanon. 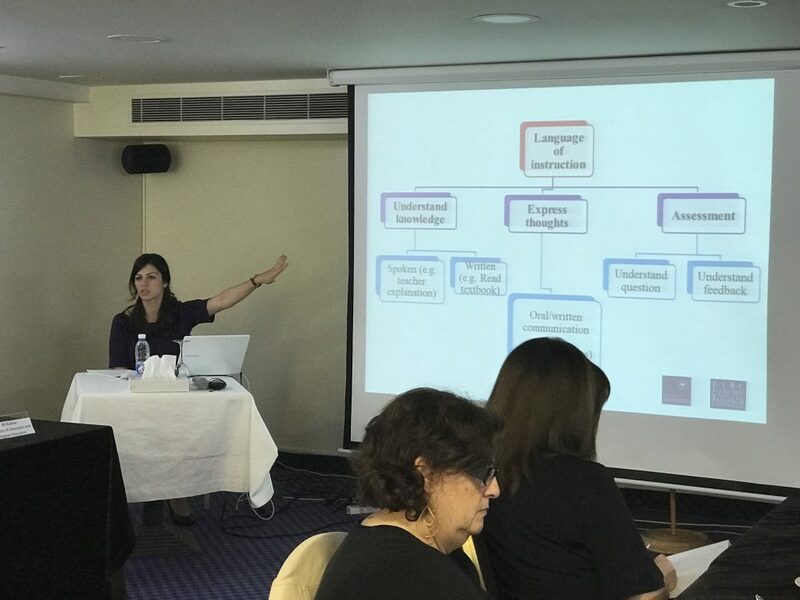 Dr El Masri gave a presentation that discussed opportunities and challenges associated with the use of technology to reduce the language barrier in science instruction and assessment.